RunCore, the leading manufacturer of high-performance and rugged solid state drives (SSDs), today introduced their new Pro VI 2.5in 7mm SSD for Ultrabooks, offering higher and more stable performance than previous 7mm SSDs. According to latest results of various research institutions, it is estimated that more than a million Ultrabooks will be bought within 2012 as the retail price is expected to drop into the $799 to $899 range. Recently SSD pricing has already been declining, encourageing PC suppliers to use SSDs in their products, in particular Ultrabooks. In addition to the Pro V Ultra SSD, RunCore once again introduce another new 7mm SSD – Pro VI 2.5in 7mm SSD - to enrich their product lineup for Ultrabooks. 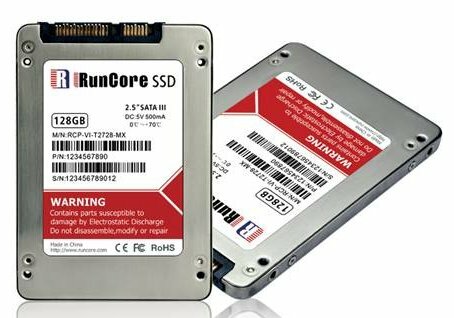 RunCore Pro VI 2.5in 7mm SSD is a JMicron-based SSD. The drive uses the latest serial ATA (SATA) 6Gbps interface protocol, with Synch NAND and 32MB cache it offers over 550MB/s read and 380MB/s write data transfer rate, featuring an extreme read and write IOPS up to 80000 and 60000 respectively. Comparing it to the previous series 7mm drive, it has a 32MB cache, with excellent ECC and Wear-leveling Algorithm Technology, it delivers a more balanced performance, capacity range from 32GB to 512 GB, can be added to Ultrabooks, workstations and desktops to provide balanced and superb performance.